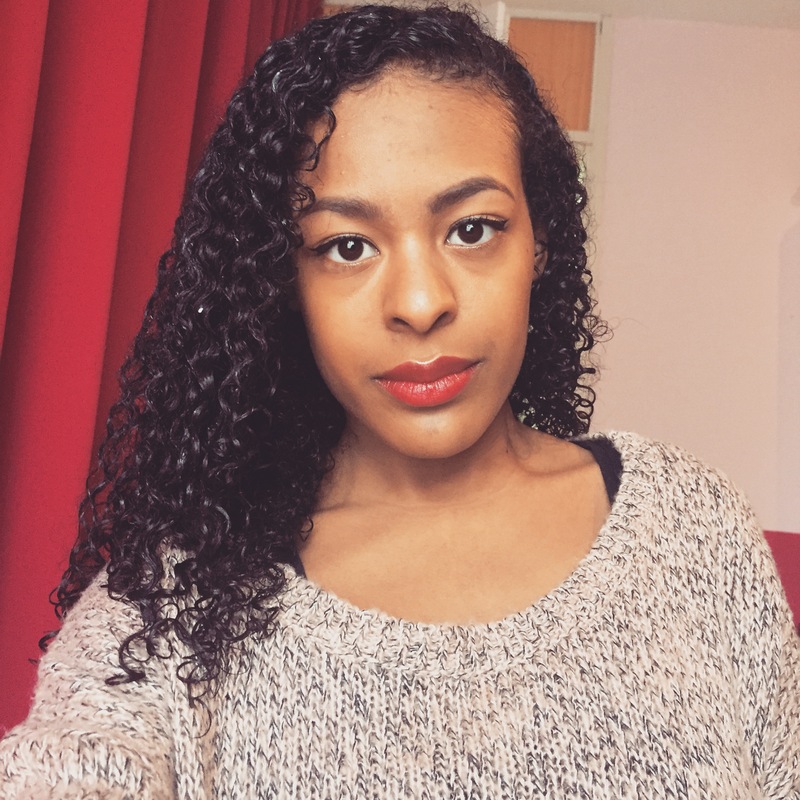 A couple of months ago I decided to try out the Straightening & Strengthening Kit by ORS. It is a texture manageability treatment to make the hair softer by smoothing the cuticle without any chemicals. The kit has natural ingredients as coconut extract and aloe vera and with the help of amino acids that create a protection layer around the hair cuticle. The kit is suppose to help you diminish frizz and gives more shine to your straight and curly hairstyles. 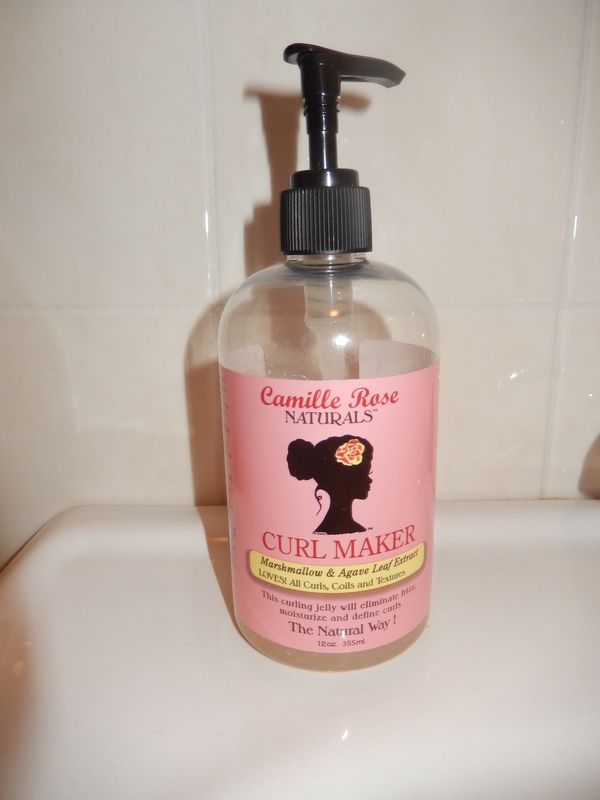 A while ago, I finally got my hands on The Curlmaker by Camille Rose Naturals. I heard so many good things about this product I had to try it. Did I like it? Keep on reading! The Curlmaker comes in a bottle with a pump, very easy packaging, of 355 ML (12oz.) I was surprised with the size because I expected to be far less than that. It is an expensive product around €30 and $22 in the United States. The Curlmaker has nice sweet scent to it with a thin watery consistency. It comes close to the Shea Moisture Curling Souffle consistency. With this product, you really just need a dime size because that does the jon. If you use too much, it will weigh your hair down. In addition, this product makes my hair soft with very defined curls with hardly any frizz. At first, my hair becomes stiff after application and it dries up quickly. Later on, the spirals become very soft but still very defined. 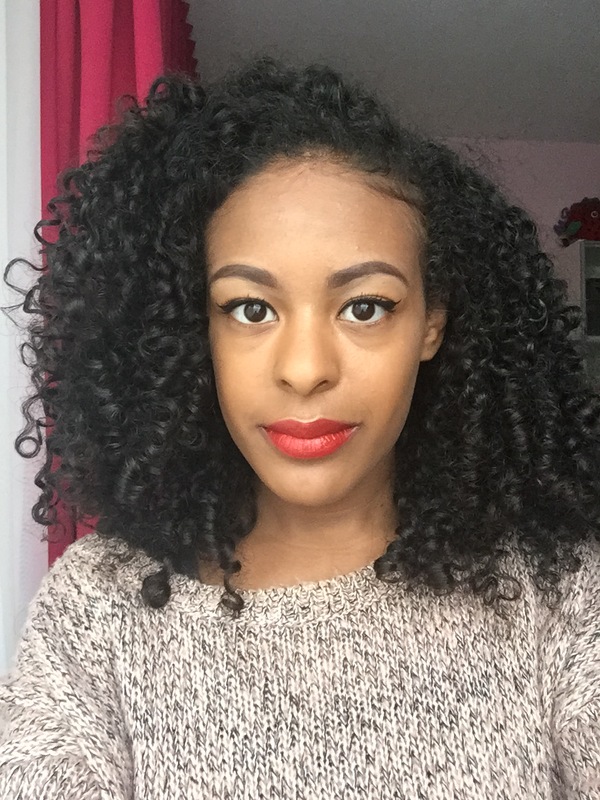 – Curl definition for days! – Weighs hair down easily. This can be a pro or a con. It will diminish shrinkage but for the fine and low density naturals this can weigh your hair down a lot! Overall, I loved the Curlmaker and when the time comes that I need a new bottle, I will definitely repurchase. It is quite pricey, but a little goes a long way, so for me, it was worth all the pennies! As I mentioned in my previous posts I noticed my hair was becoming healthier. This was achieved because of good hair products and protective hair styling. The former will be discussed this week. 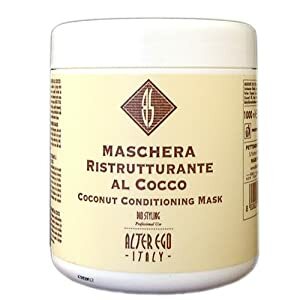 Searching for something which helps you moisturize your hair? This is the right product. I actually think that this would be a good substitute of the Shea Moisture coconut-hibiscus line. Both products have exactly the same effect on my hair. Nevertheless, the leave-in conditioner of Shea Moisture is more water based. Thus, if you have a very heavy hair texture you should probably consider this product. The fragrance of this product is amazing! This is probably due to its ingredients: Mango Oil and bamboo milk. I do not know how the latter one smells, but I know that the former one smells delicious. This product is for tight curls and coils. What a coincidence, that is how I would describe my hair texture. There is a disadvantage about this product…it makes my hair clutter…The knots are unbelievably painful. Thus, I only use it when braiding or finger coiling my hair. When doing so, my curls POP. This mask is my savor. Okay, maybe I am exaggerating…just a little bit. But after the treatment, my hair is easier to detangle; soft and shiny. In the past, my mother used to purchase this one for my sister and I decided to try it. Consequently, this conditioner is always in my bathroom. I know that lots of people do not like the smell of this oil…but I love it. I think I am weird. But this oil motivates hair growth and it makes my hair really soft. 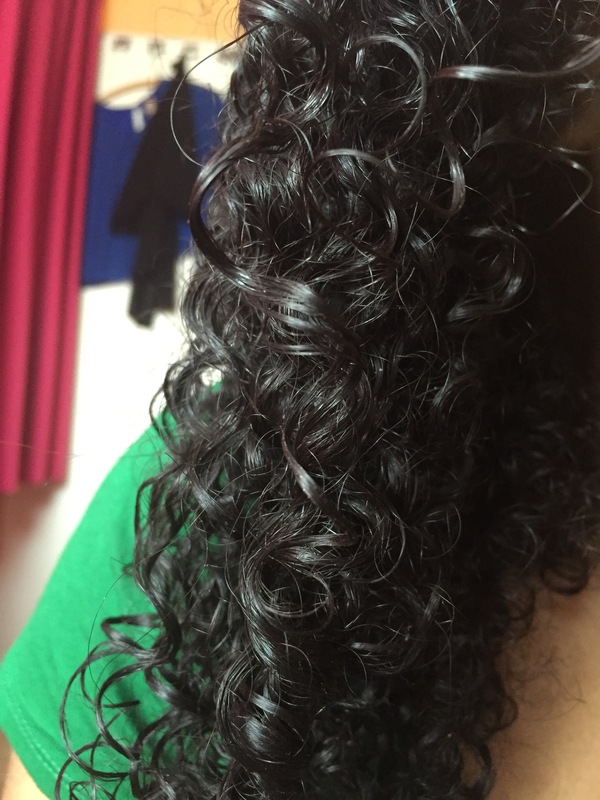 I noticed that my curls became longer and stronger…So, I am super happy! My other favorite oils? Olive oil, Almond oil and coconut oil. Castor oil? No, I pass. Luckily, I went to the States in 2014. You could probably imagen that this girl here went crazy when it comes to purchasing hair products. As mentioned earlier, my hair was damaged because of the chloride in the water of America. But this product line really did some damage control! Normally, I have to switch products every quarter. But my hair is enjoying the presence of this product line. I have to mention that I solely use the conditioners (both regular as well as leave-in); the curl enhancing smoothie and the cleansing conditioner. The shampoo is very expensive in the Netherlands; otherwise I would use it as well. I have type 4 hair and Caressa has type 3b hair. Hence, I would say that this line is suitable for hairtype 2, 3 and 4. The conditioner of this line makes the wash routine much easier. Normally, I would even get a chair in order to detangle my hair. Let me emphasize this horror: finger detangling was impossible. But then, Tresemmé Naturals conditioner jumped into my life. Caressa told me that they changed the ingredients; perhaps some of you were using it and noticed this as well. I use the shampoo once a week and I like it, because it makes my hair soft. I often experienced that my hair many knots because of the shampoo. However, this shampoo makes my hair soft and my scalp clean. Do you also have favorite hair products? Share them with us!